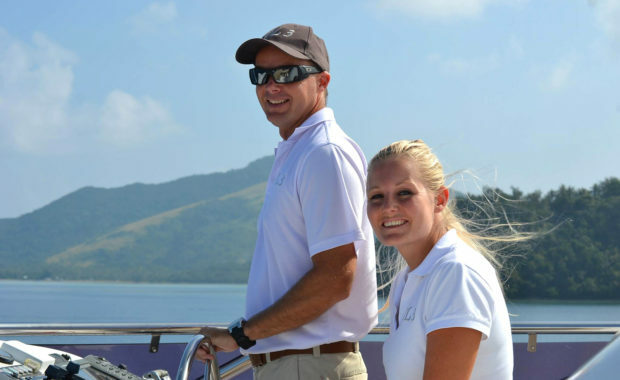 Whitsunday Superyacht Services are a locally based, experienced and knowledgeable yacht support agency. 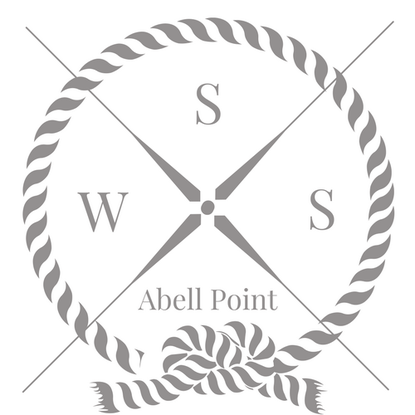 We are based in the mainland port of Airlie beach, with the best access to services, supplies and marinas, and immediate access to the world class cruising grounds of the Whitsunday islands and the Great Barrier reef. “WSYS” (Whitsunday Superyacht Services) is owned and operated by ex-superyacht crew, hence we understand first hand the needs of Captains, owners and crew. Our goal is to provide prompt, efficient service of the highest standard to visiting superyachts. Dan started his career as a dive instructor /deckhand in the Whitsundays 20 years ago, working up to captain and then heading overseas to join the superyacht industry in the Mediterranean. He worked up the ranks again from deckhand to bosun to chief mate and Captain, following the cruising seasons in the med and Caribbean for 10 years. Eventually Dan returned to the southern hemisphere, to operate a few very successful charter/private superyachts as both captain/engineer on both motor and large sail yachts. Extensively cruising the east coast of Australia and the South pacific. Finally returning home to Airlie beach to set up the Whitsundays first superyacht agency and promote one of the worlds best cruising grounds to the yachting industry. Dan is your go to person for local cruising knowledge, deck and engineering support. 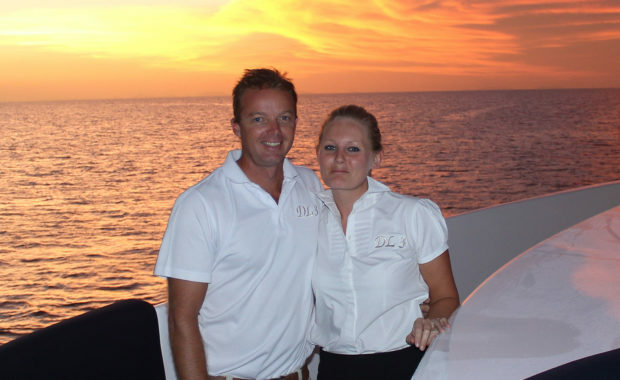 Jennie Howcroft started her superyacht career in the med as a stewardess 10 years ago. Working up the ranks to chief stew and eventually becoming a chef on numerous yachts cruising the med, caribbean and south pacific. With extensive experience in presenting yachts during boat shows and charters, she is your go to person for anything interior or galley related.